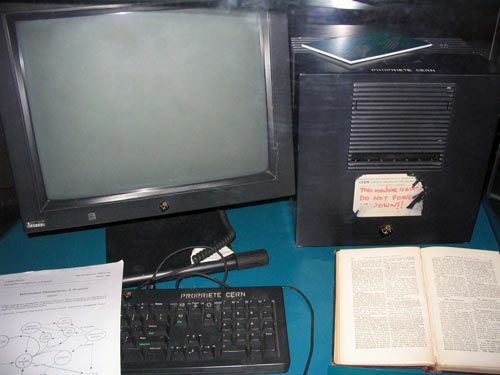 25 years since the web was invented Header set Expires "Wed, 15 Apr 2020 20:00:00 GMT" Header set Cache-Control "public"
25 years ago Tim Berners Lee made the World Wide Web public. 23 years ago Cavespider started creating websites. Time just flies, in just a few short years from Mr Lee's first server we had a genuine World Wide Web. The early days html was pretty basic and much of the design and functionality you consider standard now was but a twinkle in a developers eye. One of the biggest barriers was internet speeds. We had an 8 megabyte ISDN connection from BT which cost hundreds of pounds a month. Most users had connections offering a few 100 kilobyte connection at most. So graphics had to be minimal and any images compressed as far as possible. SEO as such didn't really exist. No Google of course, but by 1994 we got AltaVista, Webcrawler, Yahoo, Lycos and a few others. All were pretty basic and ideally you had to register your website with each otherwise you may well not get listed at all. As the technology has grown, Cavespider has developed with it. You'd be surprised at how much we learnt then that is still very relevant today.